At Maximum your enjoyment and safety are our main concerns. We have a 24 hour trip hotline number, so be confident that we can be reached at any time. 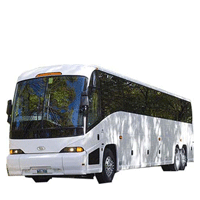 Chaperones can enjoy their tour along with their students knowing that our Professional Tour Directors are there to handle all facets of your itinerary. We support the recommendations made by the State Education Department with respect to bus operation. At the end of the day you can sleep peacefully knowing that private security guards are hired to monitor the student's rooms.